Mozzarella Stuffed Chicken - SUPER Cheesy, Family Favorite! I need to share this recipe with you and I need to share it now, because mozzarella stuffed chicken is the most delicious way to eat chicken. Ever. 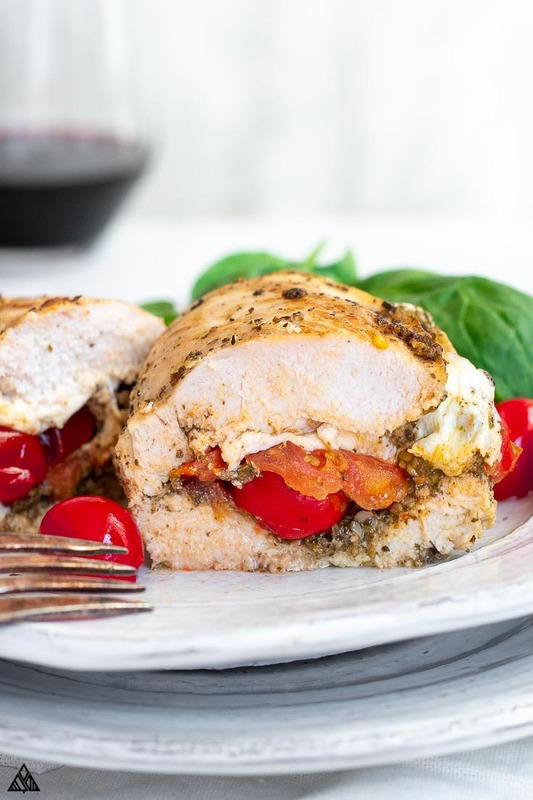 Believe it or not, I don’t like chicken — so when I tell you I absolutely LOVE this cheesy, pesto-y, juicy, mozzarella stuffed chicken, I hope you know how much that means! 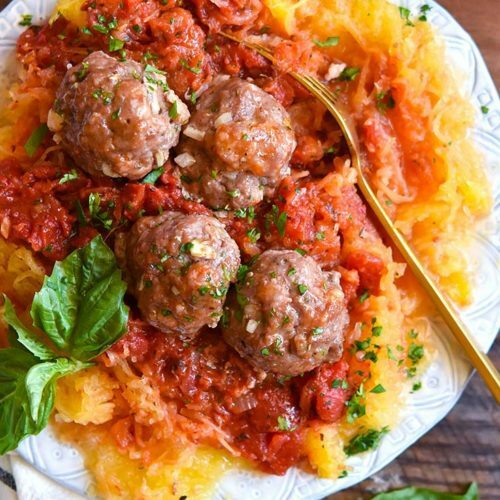 It’s one of those low carb dinners the whole family will love. It comes together in a flash, freezes beautifully, and makes for delicious low carb lunches the next day. Serve it up with low carb salads or some low carb side dishes, and enjoy! 1. 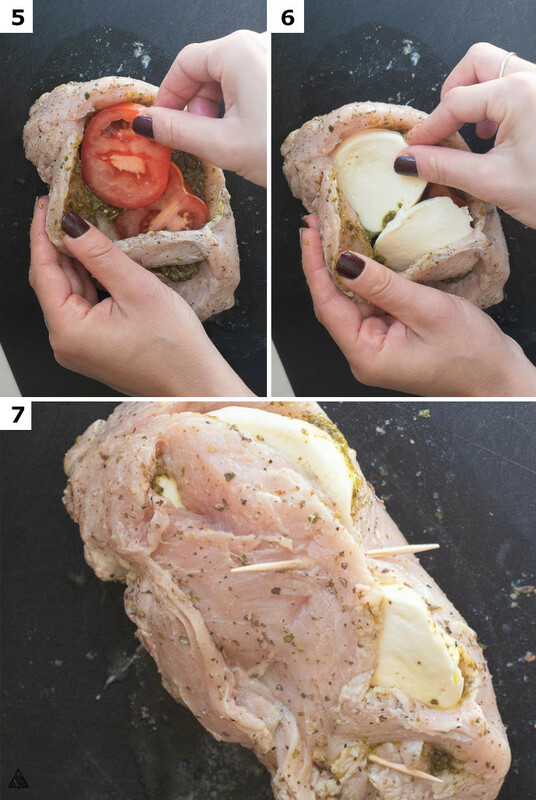 Cut a pocket into your chicken breast. If you’ve got incredible knife skills you can cut a pocket into the center of the chicken breast, but I find it’s much easier to butterfly the chicken. 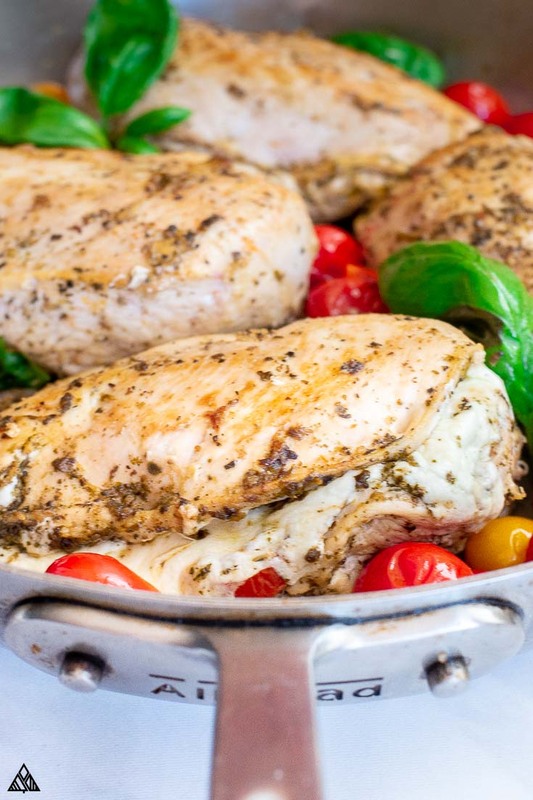 Plus, butterflying allows you to stuff your chicken with more low carb foods for filling! If you butterfly the chicken, you’ll want to use toothpicks to hold the breast in place — this is important in keeping our mozzarella stuffed chicken together when we sear. If you’d prefer to cut a pocket in the breast, do this with a sharp knife, and very carefully! Start with a slather of pesto, followed by sliced tomatoes, spinach, and sliced mozzarella on top (this will melt down to hold our mozzarella stuffed chicken together). Using sliced mozzarella vs. shredded allows you to get more cheese inside each baked mozzarella chicken breast, plus it’s far less messy. Can You Make Stuffed Chicken Thighs Instead? Why yes you can! In fact, I find stuffed chicken thighs are often more flavorful (but didn’t use them for this recipe as most people prefer chicken breast). To do this, be sure you buy boneless chicken thighs. Thighs are a bit smaller, so expect to use less filling when making mozzarella stuffed chicken thighs. Feel free to use whichever cheese you prefer for this recipe. I LOVE mozzarella as it adds a creamy texture to the inside of our chicken. Stuffed chicken parmesan would be delicious as well. Add whatever low carb vegetables you’re craving to this Italian stuffed chicken breast! If you’re using hard vegetables (think bell peppers, onions, etc. ), cook them before to soften them up. 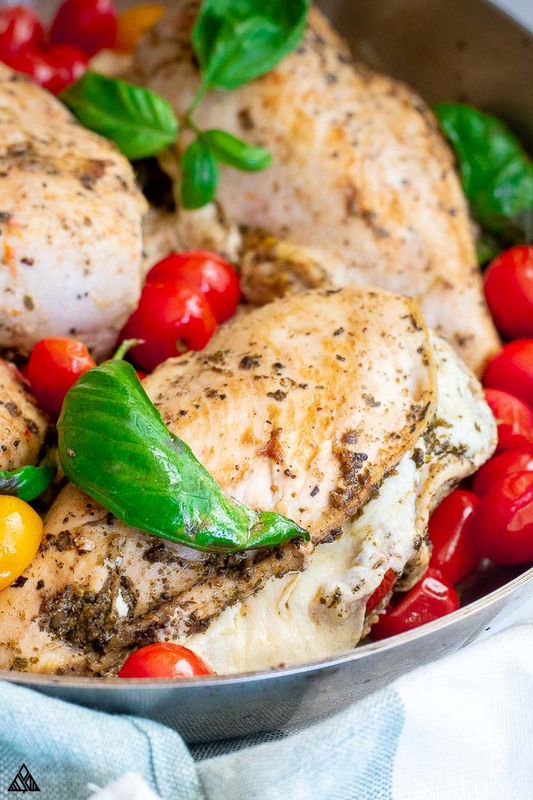 Pst, sun dried tomatoes would be delicious in the mozzarella stuffed chicken! Since I stick to a low carb shopping list, I decided to use fresh tomatoes, but if you aren’t on a low carb meal plan, swap ‘em! The most flavorful way to cook spinach stuffed chicken (or any low carb chicken recipes for that matter) is to sear it in a pan, then cook it through in the oven. 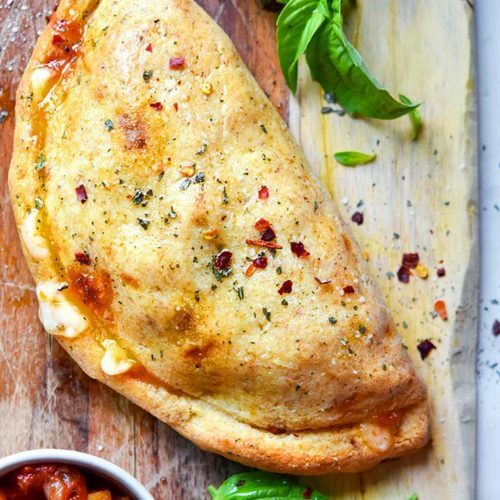 Searing the mozzarella stuffed chicken creates a delicious crust, while baking it in the oven helps to seal in the chicken’s juicy flavors. If you aren’t watching your carbs, try traditional noodles, quinoa or rice. 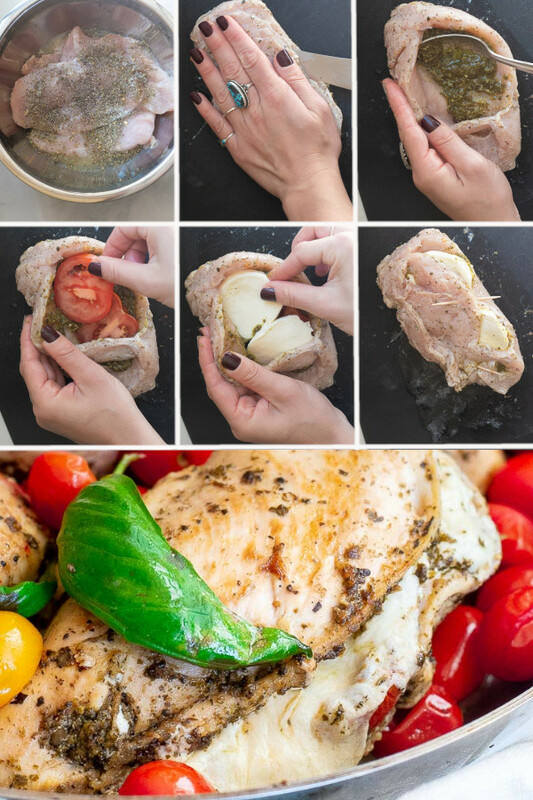 Stuffed chicken breast is perfect for low carb meal prep, as each cooked breast can easily fit inside a resealable bag for portioned out low carb meals! To do this: allow your baked mozzarella stuffed chicken to cool in the fridge overnight before freezing the breasts into individual ziplocks. Be sure to release all the air from the ziplock and label the baggie with this recipe’s name and date. Baked stuffed chicken breast can be reheated from cold or frozen in the oven! 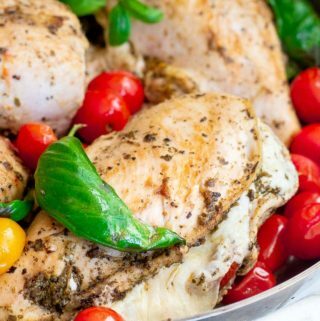 Simply place your mozzarella stuffed chicken keto on a rimmed baking sheet and into the oven. Pro tip: you may want to cover your pesto mozzarella stuffed chicken with a little extra cheese, just sayin’! For those of you who can’t get enough bacon wrapped stuffed chicken recipes, here’s a pro tip: instead of making mozzarella stuffed chicken wrapped in bacon, I think this recipe would sign as chicken stuffed with mozzarella wrapped in parma ham instead! Can’t wait to hear what you all think of this mozzarella stuffed chicken recipe! I hope you and your family love it as much as we do, let me know what you think in the comments below! Enjoy! Baked mozzarella stuffed chicken topped with parmesan is the answer to your low carb and keto dinner prays! Full of pesto-y, cheesy, juicy goodness, it's impossible not to love! Combine chicken, Italian seasoning, salt, pepper and lemon juice in a large bowl and stir to combine. Slice chicken breast in half to form a “pocket”, or butterfly your breast (if you butterfly the chicken, you will need to use toothpicks to hold the ingredients together). 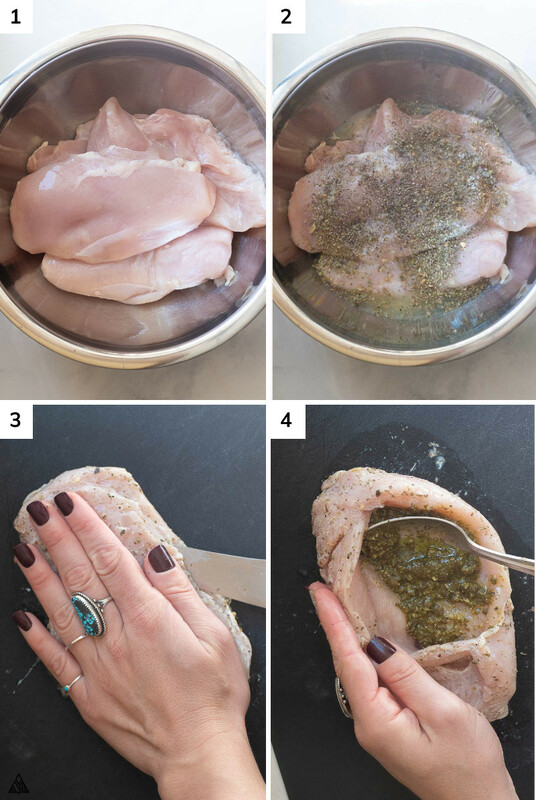 Add a scoop of pesto inside each chicken breast. Layer a few slices of tomatoes, spinach then cheese into each breast. Place chicken breast in the pan and sear each side for 5 minutes, or until the edges start to brown. Place pan in the oven and continue to cook until chicken is no longer pink — this took me 20 minutes. If you're using a meat thermometer, the center of your chicken should be at least 165F. Now that you see how easy and delicious mozzarella stuffed chicken is to make, don’t you want to turn every one of your low carb recipes into stuffed chicken breast recipes?? Think fajita veggies stuffed inside chicken with pepperjack cheese — fajita stuffed chicken is another one of my favorite ways to enjoy low carb chicken breast recipes! Lasagna can be a lot of work, so if you’re feeling lazy and craving lasagna, make lasagna stuffed chicken instead! After Thanksgiving, we always leftover cauliflower stuffing. So I use it to make stuffed chicken breast with stuffing! 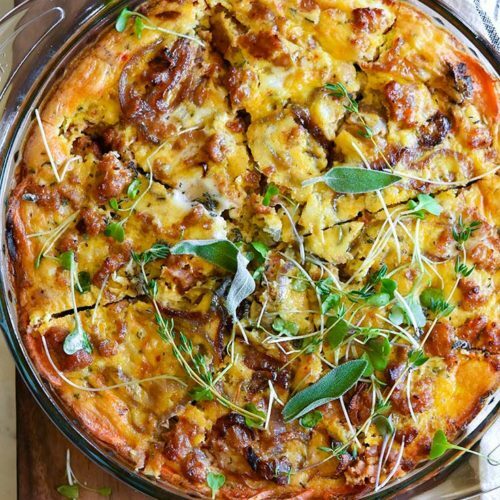 Low carb and it’s the perfect way to use our leftovers! Get creative with different vegetables and cheeses. One of the most flavor packed keto vegetables is broccoli — mix it with cheddar cheese for the perfect filling for broccoli and cheese stuffed chicken! Artichokes are super high in fiber, and make for a great filling — while spinach adds some nutrients to the dish! Check out spinach artichoke stuffed chicken for a health-ish treat. Everything, I mean everything’s better with cream cheese. Make cream cheese stuffed chicken with whatever veggies you have on hand, and I bet your family will eat it all up without any complaints.